We have some of our photographs featured in the newest edition of Yatter Yatter magazine. 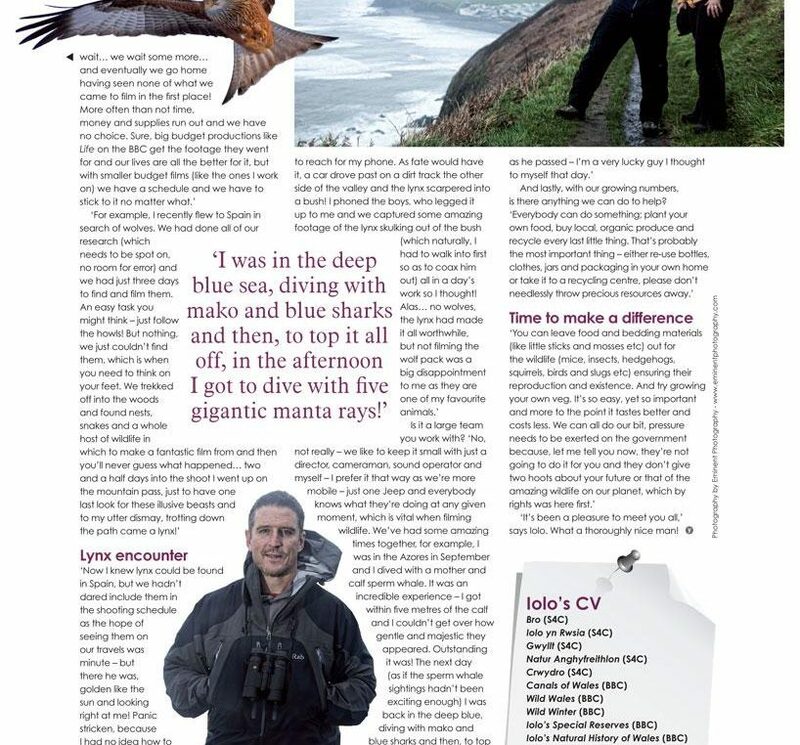 The feature is an interview with Iolo Williams. We documented his day with journalist Carolyn Sian Jones. You can read the insightful interview here.